Charles Town City Council, March 4, 2019. Over 1,000 Charles Town property owners submit a formal protest against the Rockwool sewer bond. 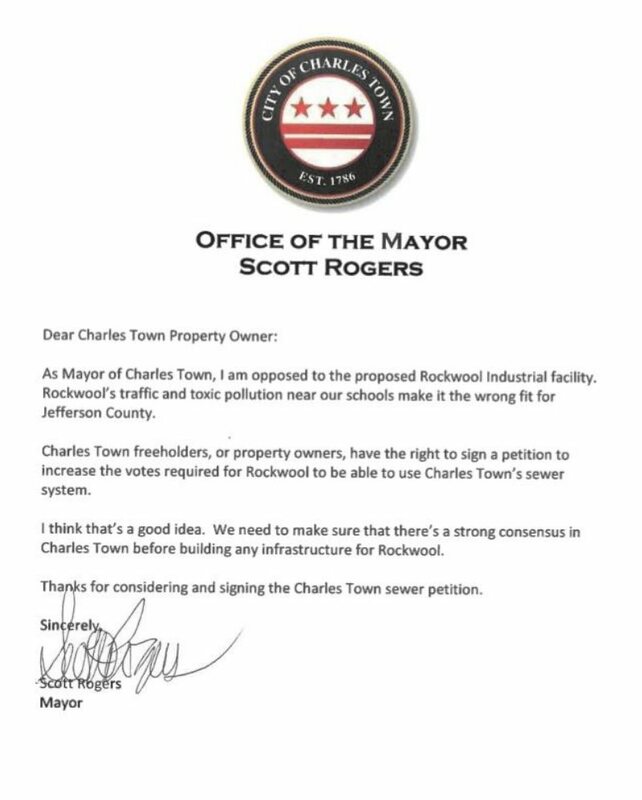 On March 4th and 5th, 2019, we presented the Charles Town City Council and Charles Town Building Commission with the Charles Town freeholder petitions in protest to the industrial sewer bond. 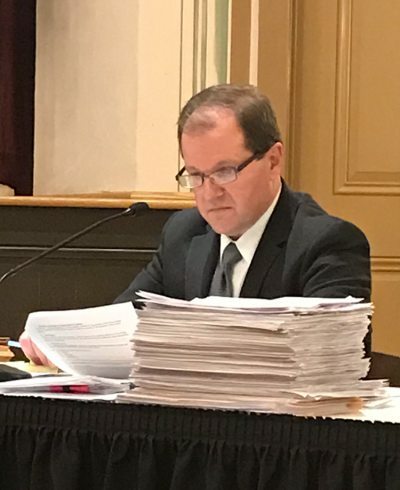 This was an extraordinary effort by many people to obtain over 1,015 validated signatures by municipal Charles Town freeholders (property owners). This petition is a monumental accomplishment, unprecedented in recent West Virginia history. It is a clear, powerful statement of opposition to the plan to subsidize an industrial sewer line to build factories by our schools. The stack of signed petitions with Charles Town City Manager Daryl Hennessy. This petition is an incredible testament to the dedication of our community to this cause. Thank you to the leadership of the volunteer organizers, Morgan Sell, Christine Wimer, Susie Wimer, Lynn Delles, Catherine Jozwik, Nancy Gregory and Lori Maloney as well as the countless invaluable volunteers who stepped up and made this possible. This will not be the last time we present the petition. Not only does our group have 10,000 Facebook supporters who have encouraged 13,000 individuals to sign our online petition against Rockwool, but we now have over 1,015 Charles Town landowning taxpayers in Rockwool’s backyard who are against the plan to use state taxpayer financing to industrialize Jefferson County. These are numbers no one can dismiss. These citizens have every right to have their voices be heard on this topic.